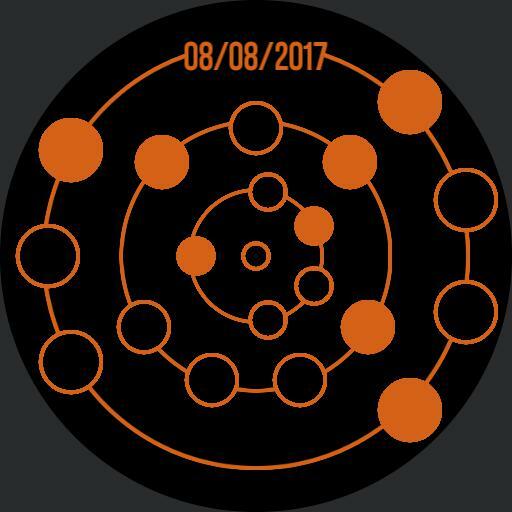 Circular binary watchface. Outer most ring is seconds, middle ring is minutes, and inner most ring is hours, dot in middle is for PM off means AM. Least significant bit is at top for seconds and hours, and to the left for minutes. The left row on seconds and hours is the 10 place, right row is the 1 place, for minutes the top row is the 10 place and bottom row is the 1 place. In other words this is always read top to bottom and left to right.